I normally do my reviews/evaluations on YouTube. I decided not to this week and just do some writing. This week we shall just fly, drive, swim whatever to Florida because that’s where the stories are. The Jacksonville Jaguars finally won a game! We’re all shocked! I felt like a proud adopted step-mom… The Jacksonville Jaguars played the Tennessee Titans on Sunday. 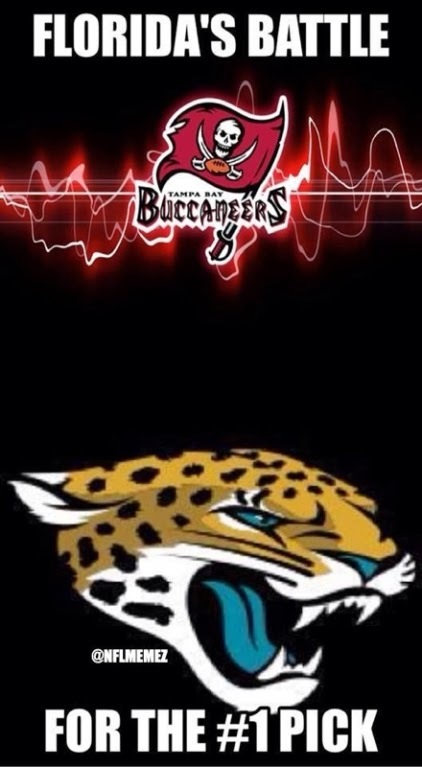 And the Tampa Bay Buccaneers also won a game which was against the Miami Dolphins! How incredible! We have the Miami Dolphins; Richie Incognito, Jonathan Martin scandal. It is alleged that well Jonathan Martin was being bullied and harassed. Richie Incognito says it was well just a prank and traditional hazing. The investigations are not done, we haven’t heard from Jonathan Martin yet. My views on everything so far is that they went to far with the hazing and everything. The voice mails are beyond horrid and Jonathan Martin should have probably said something to someone before it got this far. Richie Incognito did an interview. See below be sure to let me know how you feel about this interview and what’s said. Thanks for reading! Be sure to leave your comments!